We invite you to attend our programme of free public events, Astronomy in the City. Join us for stargazing, observing with portable telescopes, talks from our experts about cutting edge astronomy research, and your chance to ask them anything about astronomy! Astronomy in the City events are strictly all ticket, and begin in the Poynting Building on our Edgbaston campus, within easy reach of local transport links. 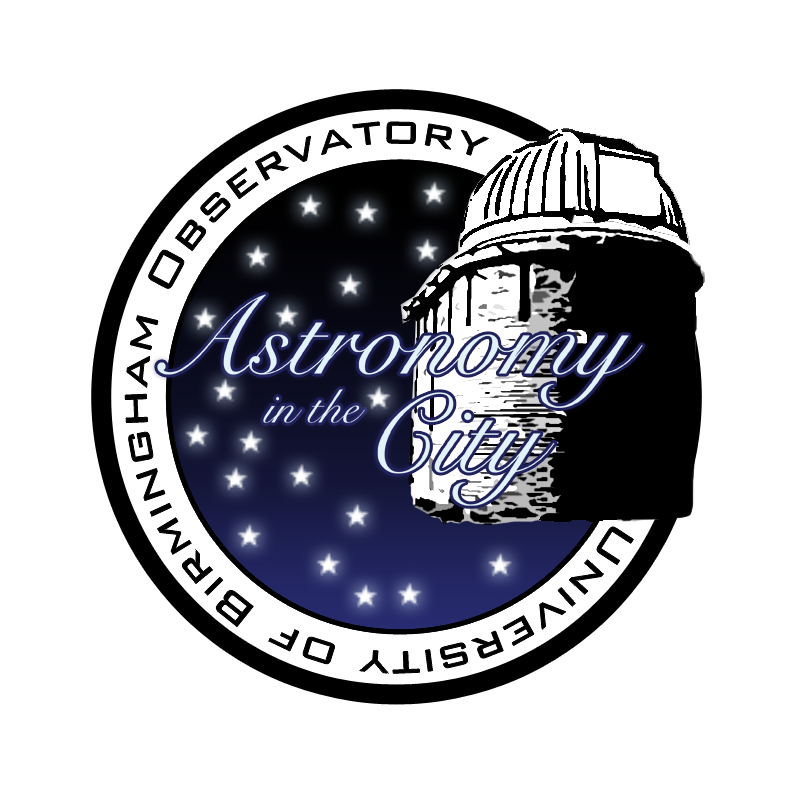 Our next Astronomy in the City event is Wednesday March 6th 2019, 5:45 pm–10 pm. Booking essential! 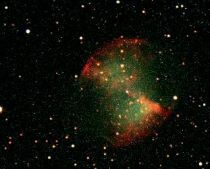 Each Astronomy in the City event will feature a talk on a different astrophysical topic connected to the research done at the University of Birmingham. 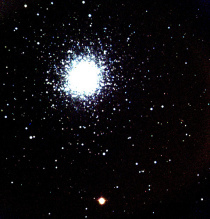 Astronomy in the City is aimed at secondary school age and above (Year 7+). Younger children are welcome to attend the talks/observing on campus, but for safety reasons are not allowed to visit the Observatory. Depending upon the weather, all visitors are invited to join members of AstroSoc to observe with their portable telescopes from Chancellor's Court in the heart of our Edgbaston campus from 7:30 pm. Please remember to wrap up warm for the cool evenings. 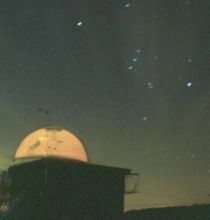 Small groups of visitors may also be able to use AstroSoc's Grubb Telescope on the roof of the Poynting Building, subject to under-18's being accompanied by an adult. The talks and refreshments will be held in the Poynting Physics Building (R13 on the campus map), with telescopes in nearby Chancellor's Court. The University's website has directions to the Edgbaston campus and how to reach the Poynthing Physics Building; the lecture theatre, refreshments and demonstrations are on the second floor. Disabled access is readily available on campus; however, the Grubb and Observatory have limited access. Admission is only available with a ticket, which can be booked for free from Eventbrite. 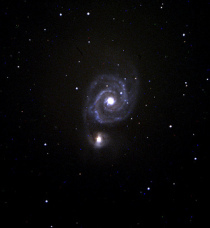 Information about what you can see in the January–February night sky, as presented at our previous event on January 23rd 2019, is available as a PDF. For any enquiries regarding this event or our future observing plans, feel free to contact us through our email, facebook and twitter. And please join our mailing list for news of future events. Astronomy in the City is brought to you in partnership with the University of Birmingham Astronomical Society, the Birmingham Astronomical Society, the Knowle Astronomical Society, Solihull School and Circles of Influence.